Mike Brighton and Mike Galvin are the team who cover the West Midlands area. Growing year on year since starting in 1998 the pair have extensive experience in the cleaning industry and put Customers as their number one priority. Most of their business comes from repeat customers and referrals, providing a testament for the work they do. 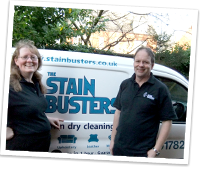 Mike and Kath Easter set up Stainbusters Stoke-on-Trent in 1998 and quickly gained a reputation for providing top quality carpet and upholstery cleaning. Clients include, hotels, nursing homes, business parks, landlords and letting agents and many hundreds of domestic customers. David Ellis, ably assisted by his wife Linda and their key man Steve Apicella have an extremely busy and successful business. Established in 1997 and trading from their base in the centre of their area in Cambridgeshire, the team concentrate on customer service and exceptional cleaning performance. 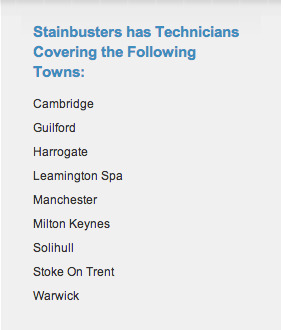 John Latham runs Stainbuster operations in the Warrington and Manchester areas. Prior to that John was a member of the emergency services. Working for both domestic and commercial customers, extremely hard working and conscientious, John has a busy life both at work and with his young family. Based in North Yorkshire and covering Harrogate, Leeds and the surrounding areas Simon Testa and his team have been cleaning carpets, curtains, upholstery and hard flooring since 1999. Having built up one of the premier cleaning companies in the area Simon is still keen to expand activities and offers a wide range of cleaning services to both domestic and commercial customers. Milton Keynes, Buckingham and the surrounding areas are covered by Mark Whitaker who is based in Woburn Sands. 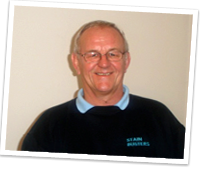 Trading as a Stainbuster for over 12 years, Mark has built a customer base through hard work and dedication. Tony White's business covers a large area in the South of England. Extending from Surrey down to Portsmouth and Southampton, Tony is kept very busy with both domestic and commercial clients. Trading for over 10 years, Tony has the experience to deal with any cleaning job.